We are in Seattle, getting ready to lead a group on an Alaska and British Columbia cruise on the Celebrity Solstice, where I will be blogging about the wine experience aboard ship. Today, we visited Pike Place Market, the legendary Seattle landmark. If you go through the amazing Delaurenti gourmet market, just past the newsstand, you will find a staircase to a wonderful little wine shop. Some of the higher-end wines from Europe. 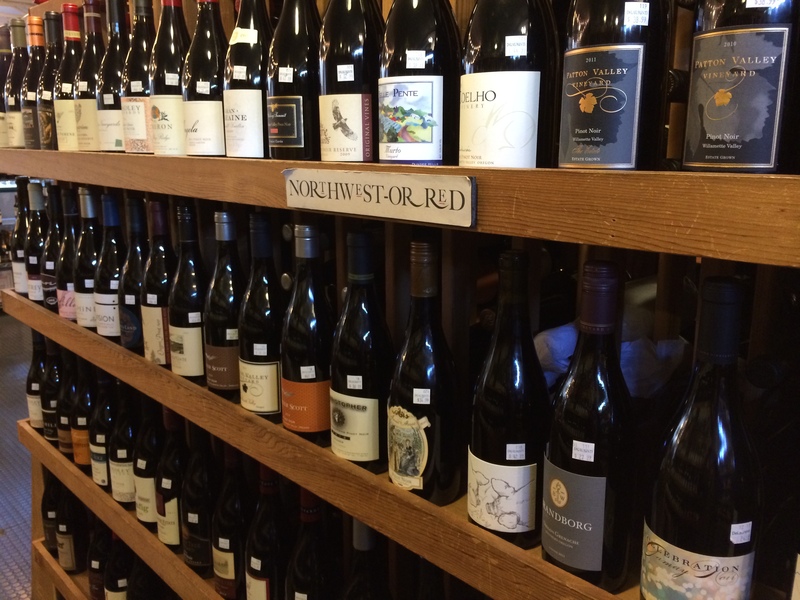 The selection is relatively small, with the exception of wines of the Northwest, as you might expect. 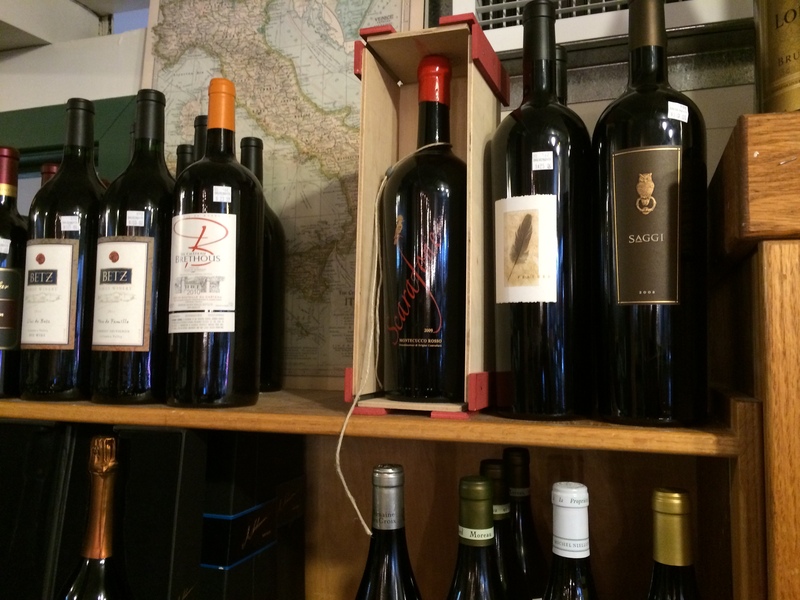 But even the selection of European wines is just large enough and well-chosen enough to give you a sense of real choices. 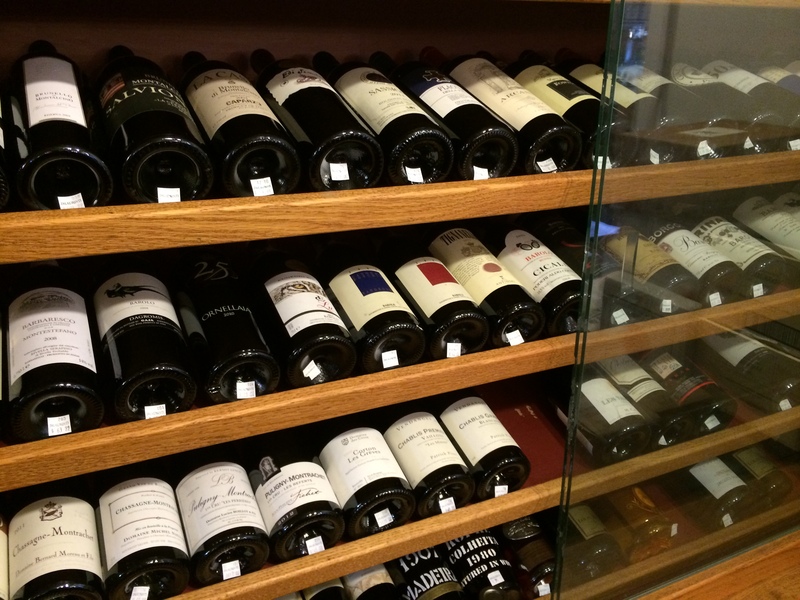 There are great wines in most categories and they have been pre-selected by the owners. There really aren’t any wines here that you would not want to drink. There is also a large selection of great wines in half-bottles to use for a picnic with some of the delicacies downstairs in the gourmet market. And lots of bubbly choices, too. If you are in Seattle, this is a real gem, along with Pike & Western Wines, at the north end of the market complex, another regional gem.